Alcohol is a good remedy for treating a cold or flu. Chicken soup is a good remedy for treating a cold or flu. 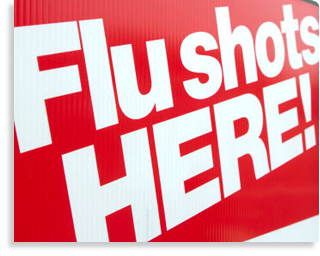 Flu shots can cause flu infection. Feed a cold starve a fever. Antibiotics can cure a cold or the flu. Cold weather causes a cold or the flu. Big myth. Because flu vaccines are made from an “inactivated” flu virus, there is a misconception that the flu-shot can actually cause flu infection. Actually, the flu vaccine is made from a dead, or “killed,” flu virus so it is not possible to get the flu from a flu-shot. However, the vaccine can trigger an immune response from your body, so you may have a few mild symptoms. Side-effects last 1 to 2 days, are generally minor and may include: soreness, redness or swelling at the injection site, low-grade fever and minor muscle aches. It’s important to note that flu viruses differ from year to year, so you’ll need an annual flu vaccine to prevent the flu. Additionally, flu vaccines can’t guarantee that you’ll be 100 percent protected, as you could catch a strain that has not been included in that year’s shot. Centers for Disease Control and Prevention. Key Facts about Seasonal Flu Vaccine. Retrieved from: http://www.cdc.gov/flu/protect/keyfacts.htm; December 20, 2011. WebMD. Top Ten Questions About the Flu. Retrieved from: http://www.webmd.com/cold-and-flu/top-10-questions-flu; December 20, 2011.